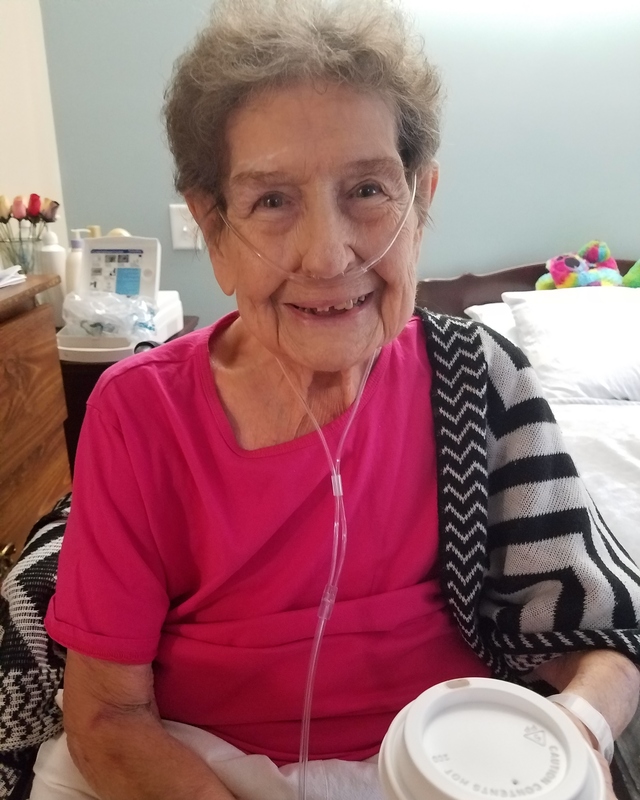 Constance Hartman Abell, 85, of Roanoke went to her heavenly home Monday, October 1, 2018, with her family by her side. Connie retired from Carilion Roanoke Memorial Hospital after 40 years. She will always be remembered for her passion for life and the love she had for her family. She is preceded in death by her parents, George and Eleanor Hartman; her son, Mark Cash; her brother, Carlton “Mike” Hartman. Surviving is her son, Martin Blane Abell; her daughter, Julia Abell Burt (Bruce); her son, Troy L. Abell (Kelly); her sister, Nedra Mae Hedgepeth, of Yorktown, VA; Six grandchildren and 3 great grandchildren. Her loving children were by her side to say their goodbyes, promising to see her again one day in God’s loving grace.